Its a slightly thicker oil but it’s still not too heavy, its cedarwood, rosemary, clove and patchouli blended into a carrier oil consisting of Jojoba, Argan Oil, Almond Oil, Castor oil, Avocado Oil and Coconut Oil. Its as it’s name implies a very woody smell and its blended so well that you’re not overpowered by any one ingredient and for me that’s good, I don’t mind a slight hint of clove but any more and its ruined for me, clove reminds me of being a child and being made to use it for toothache. The secret to a good beard oil is in the blending, a good beard oil shouldn’t smack you in the face and leave you smelling like you fell in a bottle of essential oil! I don’t know about you but when I wake up in the morning, my beard feels like I have wandered through the Sahara desert (other deserts are available) all night, I have tried everything but I have always had dry hair and dry skin and it appears as though my beard is no different. 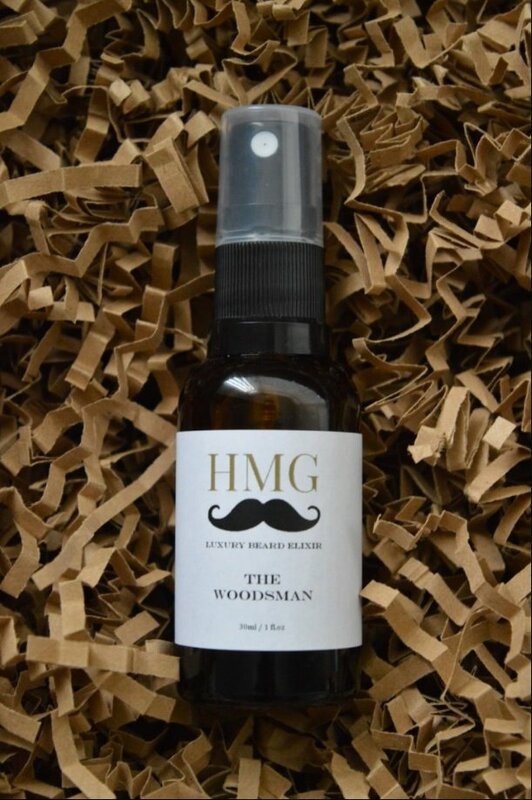 I applied some of ‘The Woodsman’ oil in the morning after the beard was washed and I always rinse my beard at night and apply some more oil or balm, the difference this time was that the next morning my beard felt good. It felt like hair and not a brillo pad and this is how my beard has felt throughout this test, my beard finally feels soft and hair like and not like it’s a high risk of wild fire breaking out. Citrus Mint a smooth blend of orange and spearmint to create a fresh citrus scent finished with a subtle hint of cinnamon. So head on over to http://www.heavymetalgentleman.com to have a look and purchase some beard goodies for yourself, a loved one or someone you know who has a beard that deserves these amazing products. Update: Thom and Laura have started a new life in Canada and at this time have ceased producing Heavy Metal Gentleman products. It’s a real shame as I love their products and hopefully they will set up again in the future. ← How to stop mould! ?